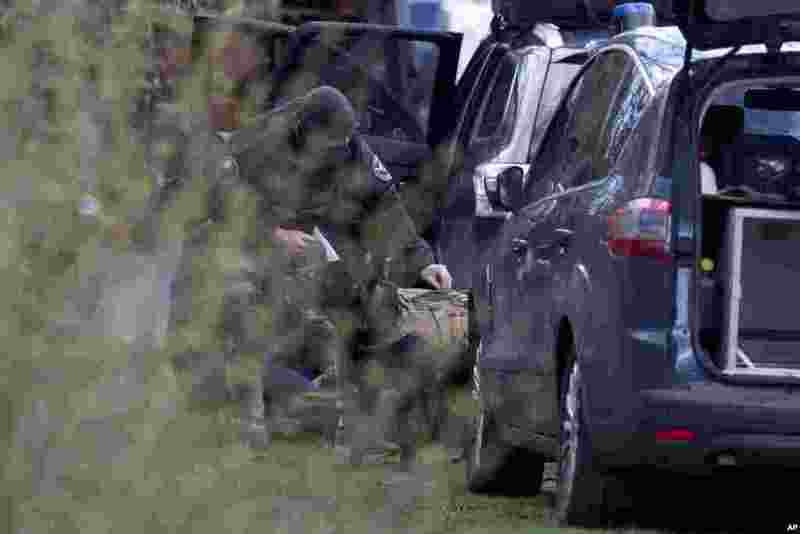 1 Dutch counterterrorism police install a camera on a sniffer dog as they prepare to enter a house after a shooting incident in Utrecht, Netherlands. 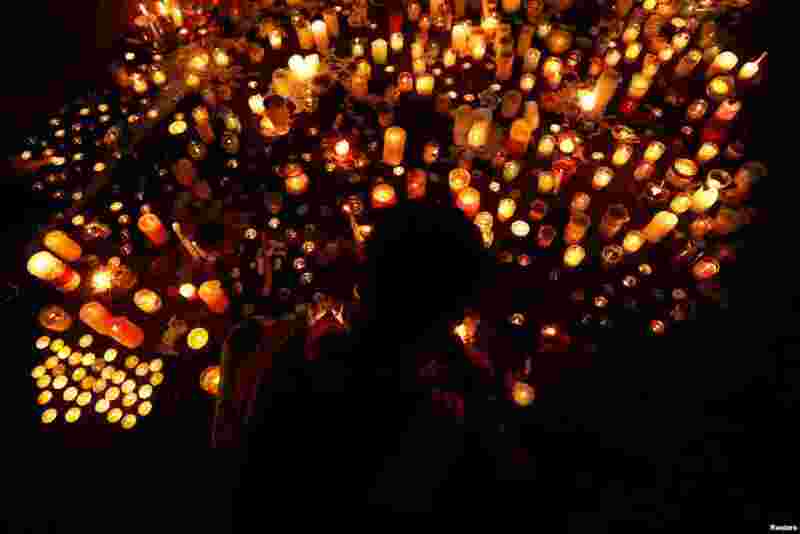 2 People visit a memorial site for victims of Friday's shooting, in front of the Masjid Al Noor mosque in Christchurch, New Zealand. 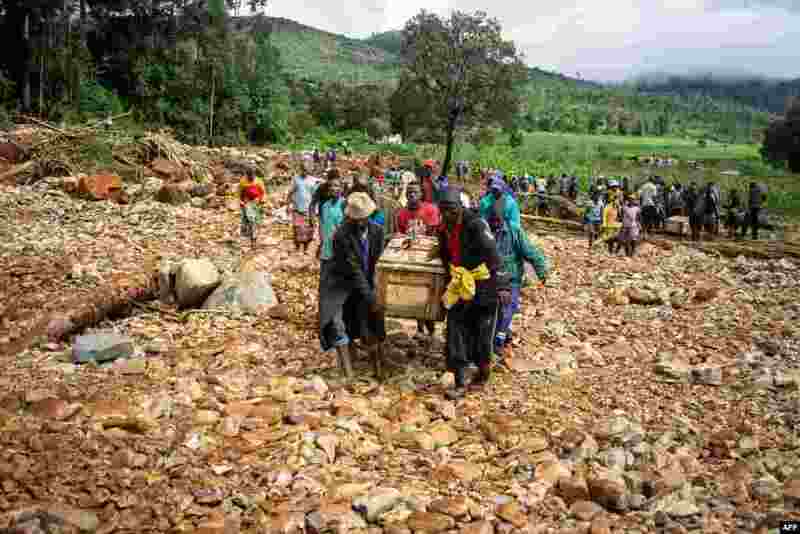 3 Men carry a coffin along a makeshift path on the river in Ngangu township Chimanimani, Manicaland Province, eastern Zimbabwe, after the area was hit by the cyclone Idai. 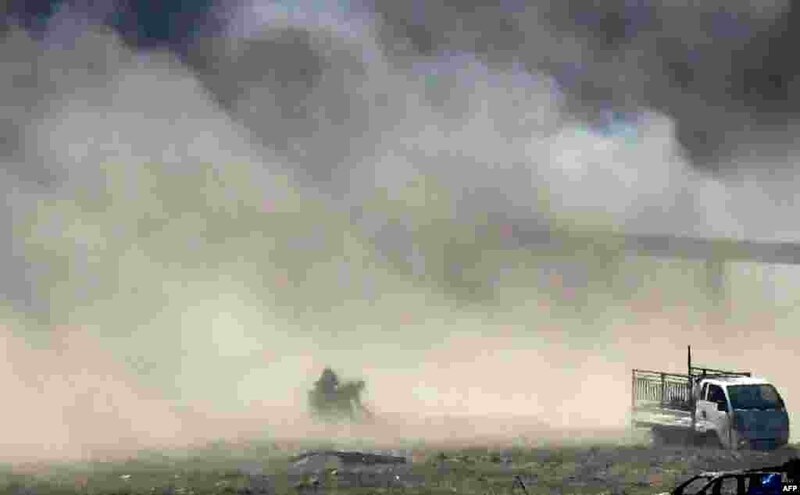 4 People are seen fleeing as heavy smoke rises above the Islamic State (IS) group's last remaining position in the village of Baghouz during battles with the Syrian Democratic Forces (SDF), in the countryside of the eastern Syrian province of Deir Ezzor. 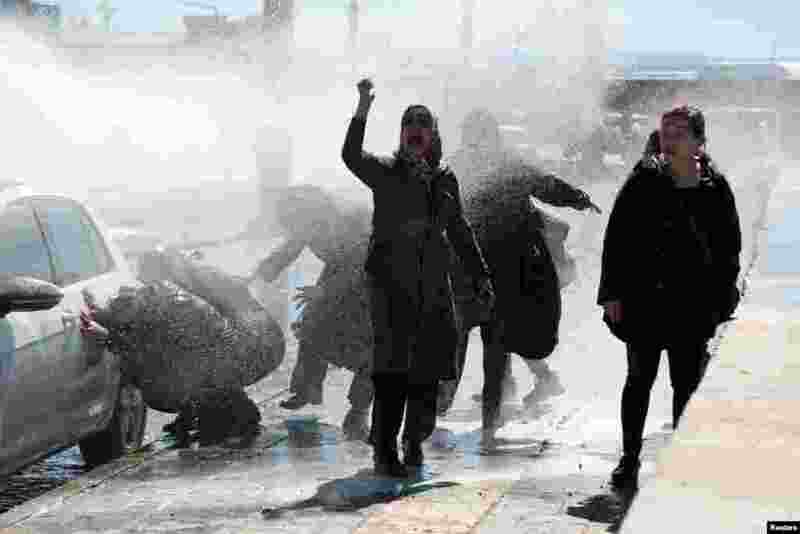 5 Turkish riot police use a water cannon to disperse demonstrators as they protest the death of a Kurdish inmate, in Diyarbakir. 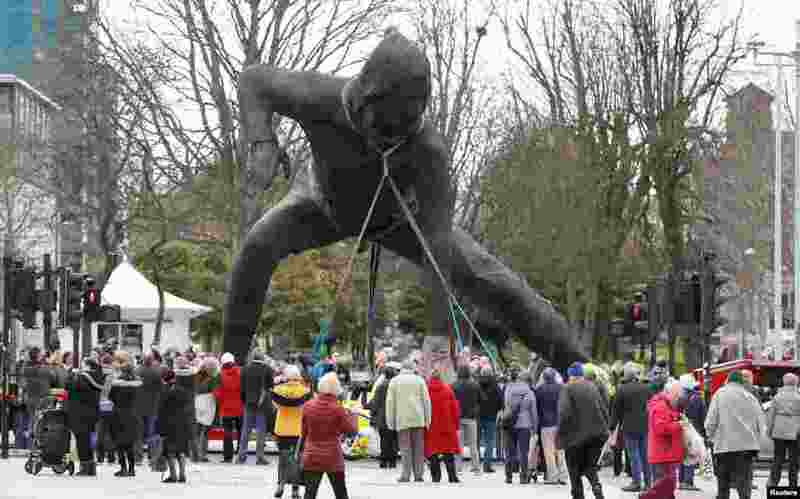 6 Britain's largest bronze sculpture 'Messenger' is driven to Plymouth Theatre Royal through the city center in Plymouth, Britain. 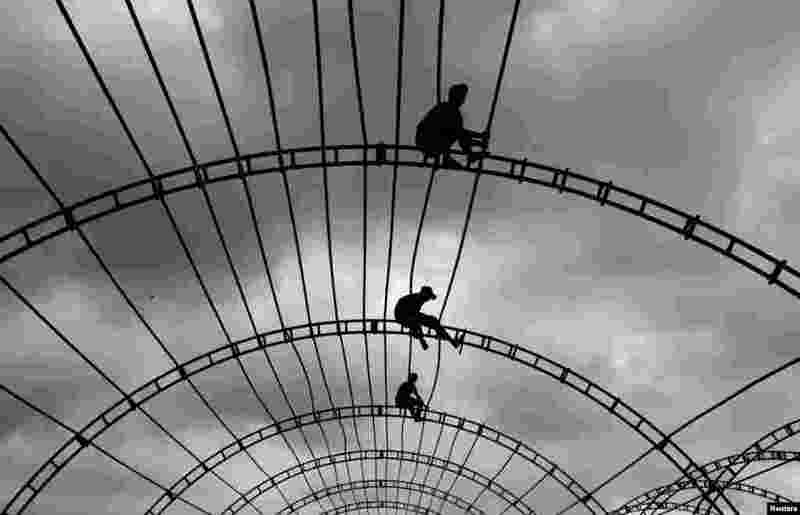 7 Men work on top of a marquee for an event in Colombo, Sri Lanka. 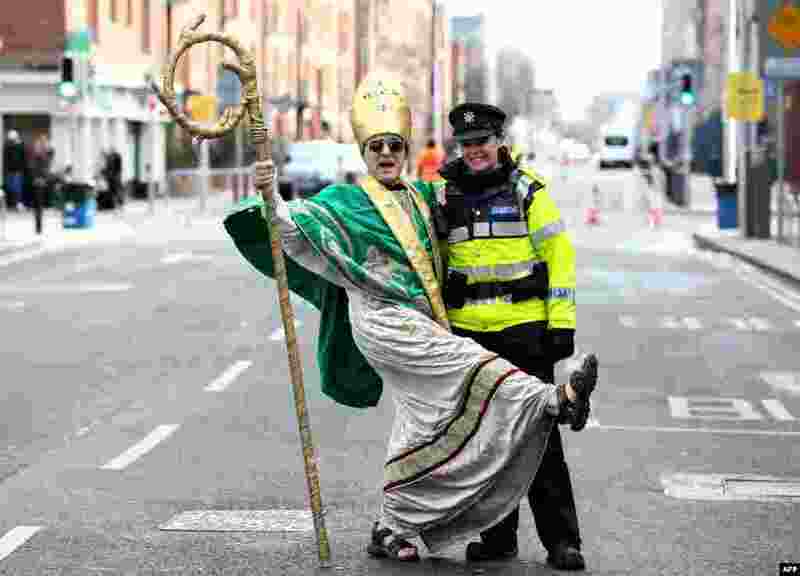 8 A man dressed as St. Patrick poses with an Irish police officer as participants gather for the annual St. Patrick's Day parade through the city center of Dublin, Ireland, on March 17, 2019. 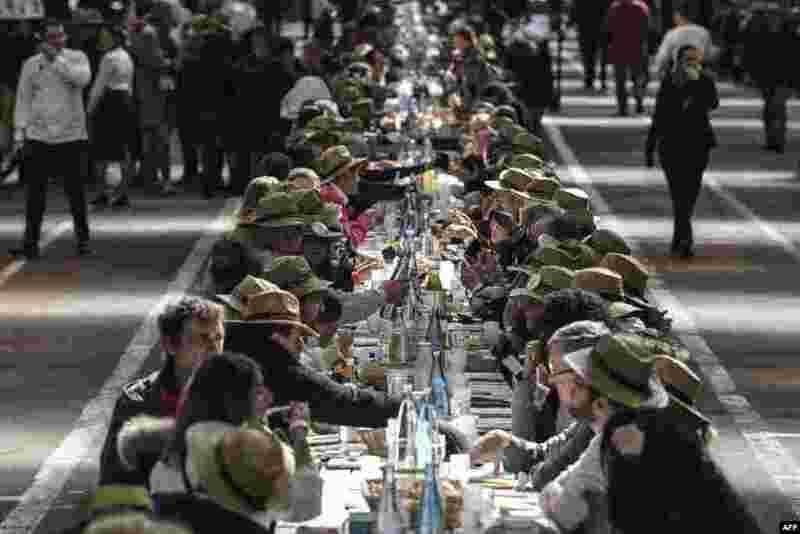 9 People take part in an attempt to break the Guinness World Records of the longest table to celebrate the international food market of Rungis' 50th anniversary, on March 17, 2019 in Rungis, outside Paris, France. 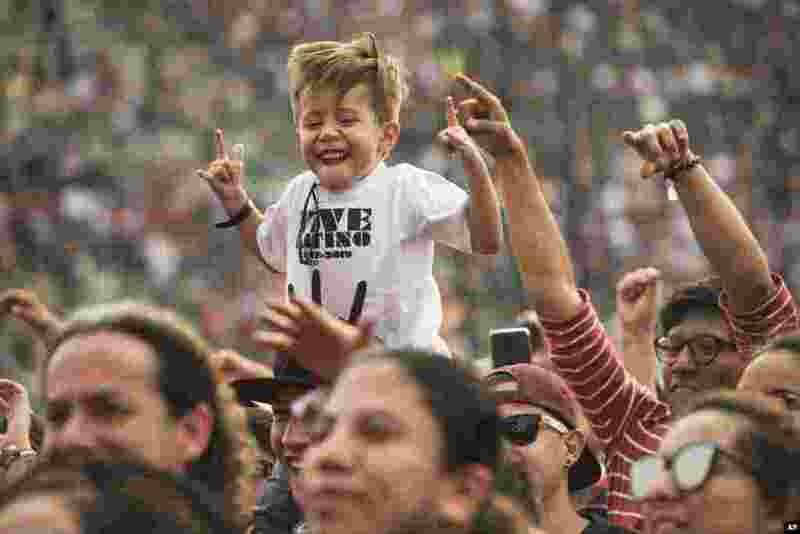 10 A youth attends the Vive Latino music festival in Mexico City, March 17, 2019. The two-day rock festival is one of the most important and longest-running of Mexico.